Other car dealers put all their energy into making sales. We put ours into making friends. At CarSense, our automotive sales jobs are focused on maximizing satisfaction, not profits. The talented staff in our car sales jobs offers objective information that provides our customers – who may not know a lot about cars – with what it takes to make the best choice. As we continue to grow, so does our need to find talent for our auto sales jobs. We are always seeking highly ethical, team oriented people who have a passion for excellence and love to help people through a relational, consultative selling approach. Our success within our sales jobs is phenomenal! 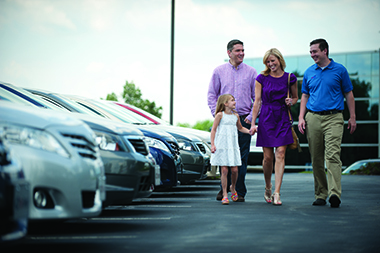 With huge inventories, we see a much higher average number of cars sold per month than your normal dealership. The sales consultants in our automotive sales jobs are paid a base salary plus a great bonus plan.... no commission. If you are interested in car sales jobs, are action oriented, a “doer" who gets the job done even when obstacles are in the way, you may be a perfect fit for one of our auto sales jobs! Join our Talent Network today to put yourself on the road to a better sales career! We currently do not have any openings for Automotive Sales Careers at CarSense. If you join our Talent Network, we will email you as soon as similar jobs become available.